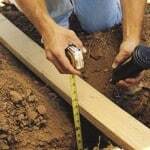 When plants are randomly spaced, run 1/2-inch tubing through the bed so that it passes as many plants as possible. 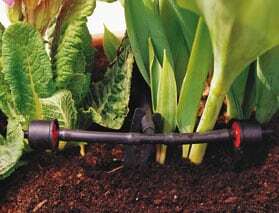 If a circuit covers just one planting bed, a good technique is to create a spiral around the area, starting with the plants on the outside of the bed and spiraling the tubing into the center. 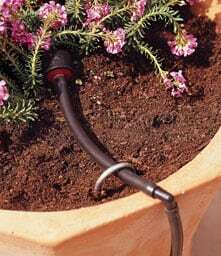 Another option is to run the tubing in a snake pattern and send 1/4-inch microtubing off the main drip line to individual plants farther away. The most efficient way to irrigate long rows of plants with drip is to run parallel lines of 1/4-inch or 1/2-inch emitter line along the row of plants. Tee off the lines from the main drip line. You can also use drip tubing with emitters rather than emitter line. Container plants require their own circuit because they need to be watered more frequently—as much as twice a day in summer. 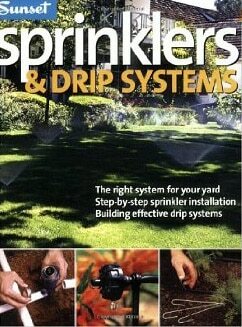 First run a 3/8-inch or 1/2-inch main drip line from your head assembly to the container area; you can hide it along a wall or walkway, or even under a deck. Although 3/8-inch tubing is less noticeable, it should not be run farther than 100 feet. Next, tee off the main drip line to run 1/4-inch microtubing to the pots. You can run it over the lip of the pot (using an elbow will keep it flat) or up through the drainage hole. 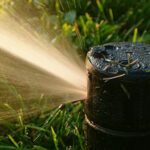 Depending on the container and the plant, the microtubing can connect to one or more drip emitters, to a 1/4-inch emitter line, or to a small bubbler, sprayer, or mister. 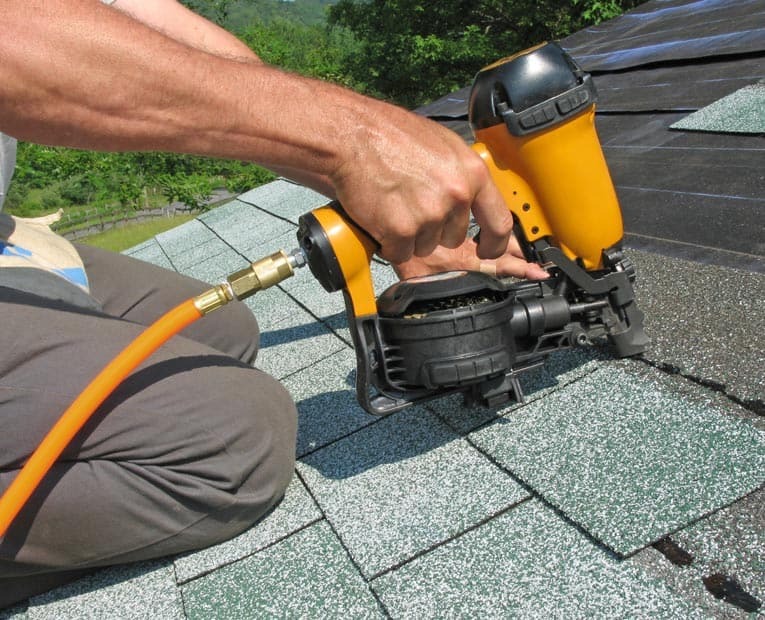 Use heavyweight vinyl tubing instead of polyethylene. It will hug the contours of the container and turn corners without elbows or other fittings. 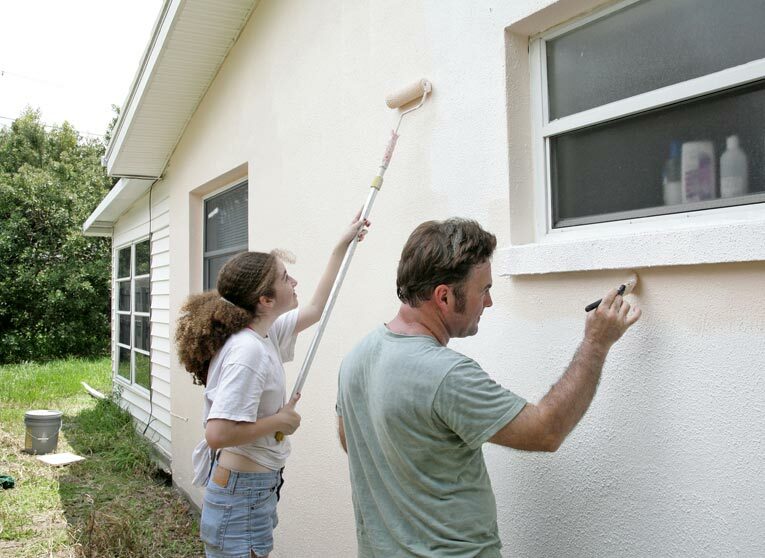 It also comes in several colors to blend with the container color. 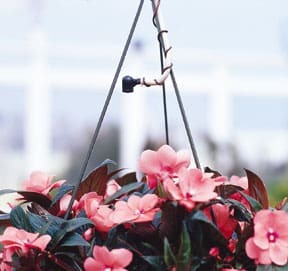 For hanging baskets, run microtubing up posts, under eaves, or in the joint between two walls. 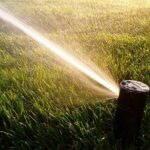 To prevent backflow, leave at least 2 inches between the drip emitters or misters and the foliage or soil.